Smart entrepreneurs are the ones who know they don’t know everything. And who then go out to find the help they need, to fill the holes they may have to make their businesses successful. Tom Scarpello is one of those smart entrepreneurs. 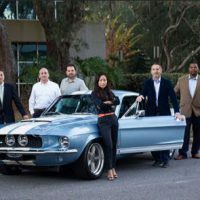 He’s the founder and president of Revology Cars, LLC, a manufacturer and builder of totally cool, brand-new (and updated with modern technology and features), Ford-licensed reproduction classic 1960’s Ford Mustang and Shelby GT automobiles. 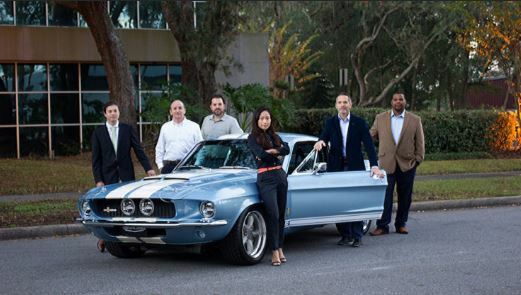 Revology is the first company to ever be licensed by the Ford Motor Company to build reproductions of any of its vehicles in the company’s more than a century of existence. That’s how good Revology Cars is and how true to the original the vehicles it builds are. For information about Revology Cars, please visit www.revologycars.com. "The FSBDC was an outstanding resource that helped us to be very prepared for our pitch. They put together a panel of mock investors that allowed us to practice and fine tune our presentation. Ultimately we were successful and able to raise the $2 million in funding we needed."